Koolamalsi Njoos (greetings colleagues). I’m Dr. Nicole Bowman-Farrell, the Founder and President of Bowman Performance Consulting (BPC), a consulting firm located in Wisconsin. As a traditional Mohican and Lunaape – Munsee (AKA Delaware) Indigenous person, the concept of writing an origin story about BPC is steeped in traditional cultures. If you know who you are and where you come from then those origin stories help shape how you do business. BPC started in 2001 as a result of standing my ground professionally, ethically, and morally. Over five centuries ago, the first Europeans reached Turtle Island. 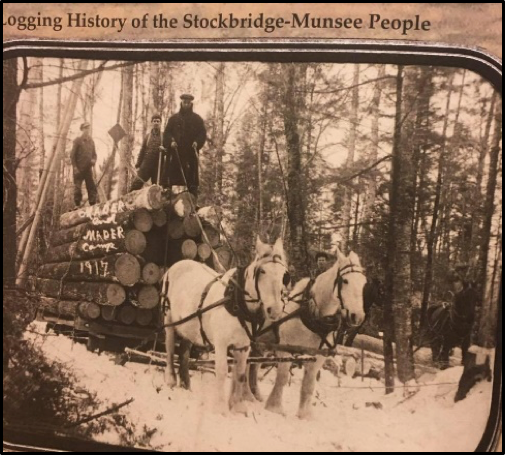 The Stockbridge Munsee Indians (that is the contemporary name of my Tribal community) lived in the East and in Canada. We were amongst the first to start an entrepreneurial relationship with the Dutch fur traders in the early 1600’s. As we were forcibly removed across the country, my community survived. Being resilient problem solvers and smart negotiators transfers well to sustaining a business. I’m at least the fifth generation of entrepreneurs in the Bowman family. That’s a picture of my great Grandpa Beaumont Bowman in 1917 who was a contracted logger for many communities in WI. He’s leading the team, looking sharp, and standing at the top of his game! Knowing my history is so valuable; it helped sustain my business, where many tough decisions are made. As a Tribal community, we were always on the move and as a business owner you must never be still. Adapting to changing resources, political environments, and market needs is key to long term success. There are generations of Bowmans that contributed to our strong family reputation: hard working, generous and kind, and honest and ethical. These are solid lessons that a business owner needs to live by if they want to be respected, impactful, and sought after as a trusted partner/collaborator. Hot Tip: Traditional elders tell us that there isn’t “good or bad” there just “is.” In everything that happens, remember to find the lesson in it. That is good advice for your personal life or your profession. I enjoy my free subscription to White Bison’s Elder Meditation of the Day (by Don Coyhis, Mohican). Cool Trick: Tricksters, in Indigenous storytelling, serve an important purpose to the community. Sometimes by tricking someone you teach them important lessons. Check out “Trickster: Native American Trickster Tales – A Graphic Collection”. Rad Resource: Indianpreneurship is the fusion of traditional teachings with contemporary sustainable business practices. It is social entrepreneurship at its best: evidence based and culturally situated while still making a living and making a true difference in the lives of others. Lesson Learned: The toughest times of my business (former employee stole nearly $100,000) taught me the most about myself and my business acumen. There were a lot of tears and sleepless nights. The relationship of money, emotions, and being a woman played into this life lesson. My relationship with money, charitable giving, profitability, and sustainability now all co-exist in a balanced and peaceful way with each other. Excellent post. 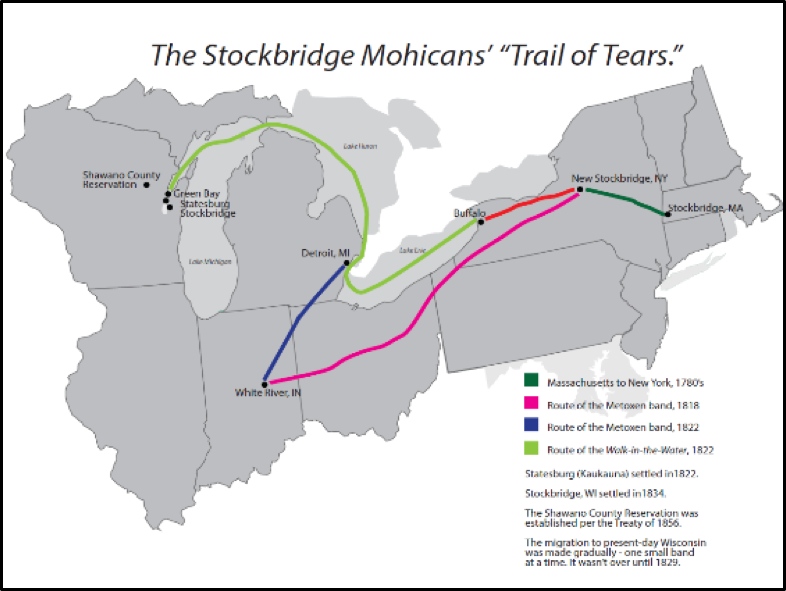 My Shawnee ancestors also walked a lesser-known (to non-Woodland NDNs) trail of tears — from Ohio to Kansas. Thank you so much for all of the resources and wisdom you share with your fellow evaluators. I always look forward to seeing you in my inbox! Love this post and the great resources!!! Thanks for sharing, and now you’ve got me thinking about my origin story. Turns out my grandfather was a bootlegger in Southern Wisconsin (family secret that was well kept until a decade ago). I’ll have to think about the lesson in that! So appreciate you sharing how you have infused Native wisdom and history into your business practice. Thank you! I know the trickster well. Thanks so much for sharing!